The boundary markers were recently unveiled. You can read some press coverage from The Chronicle by clicking here. These are some photos of the stones – click on a photo for a larger version. 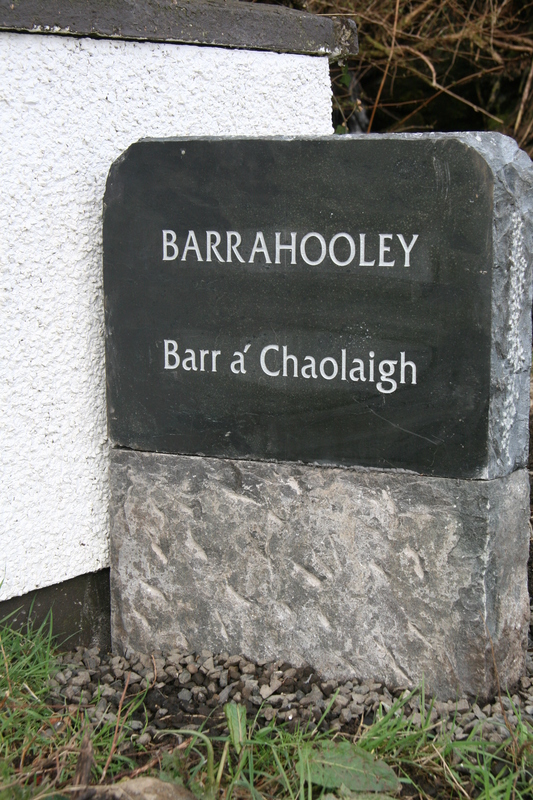 In total, 35 boundary stones can be found dotted throughout the parish. 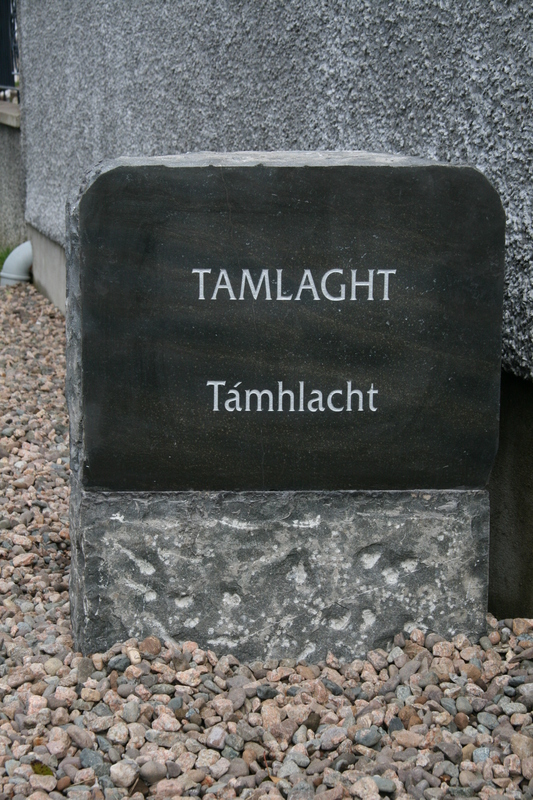 Each stone marks the beginning of a new town land, and features both the English and Irish translation. The project was the brainchild of Charles McAllister – the first ever Chairman of Glenariff Improvement Group. Work began on the stones back in March 2010, and Charles was known to have spent many days with his camera and notebook identifying the exact boundary between each town land. Sadly, Charles passed away in August 2011 before the scheme could be completed. At a special launch event last week, the Improvement Group’s current Chairperson Mairead McMullan said the day was ‘tinged with sadness’ that he was not present to see his efforts come to fruition. 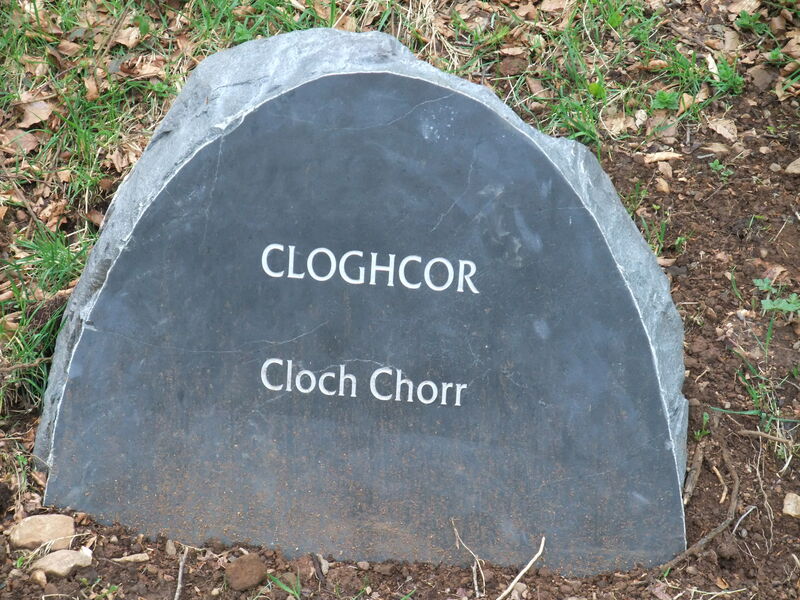 Speaking at the launch, Mairead welcomed Charles’ Siobhan, who had the honour of unveiling a picture featuring the boundary stones, which were specially created by John McCollam of McCollam Stone in Cushendall. She also thanked all the landowners, who gave their permission for the stones to be erected on their land. “Without that permission, it wouldn’t have happened. 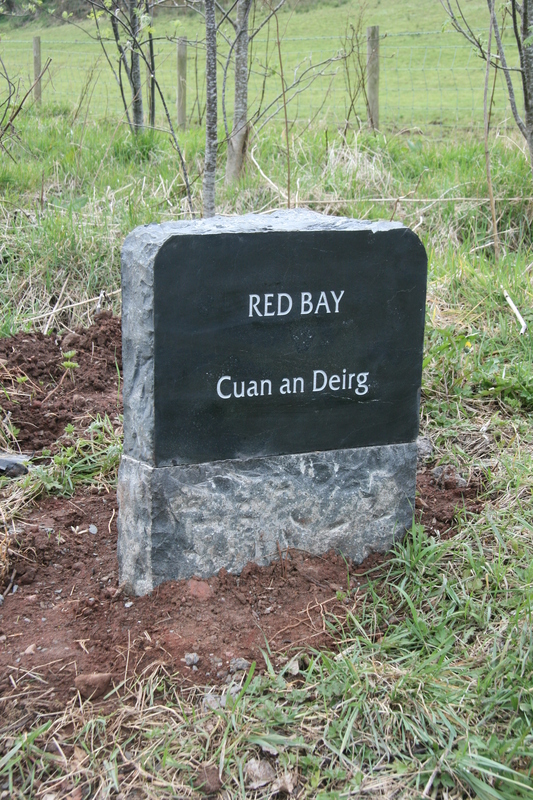 We have placed the stones as close as we could to the boundaries so want to pay special thanks to the landowners,” Mairead said. As well as the stones, the Improvement Group created a glossy guide to all the town land names which drew on the work of Seán MacMaoláin, an Irish scholar who was born in Waterfoot. Additional information was also prepared by Charles shortly before his death. The project was funded through the Rural Development Programme, who provided almost £18,000.